July | 2014 | God's Abundant Blessings! Some days we just need to constantly remind ourselves that God is FAITHFUL – all the time! It is easy on the good days when things are going along smoothly. But what about the days when the kids are more moody than you can handle, the car breaks down, or a friend or family member causes incredible pain? Speaking from many experiences, I KNOW God is faithful, but I don’t always FEEL it. 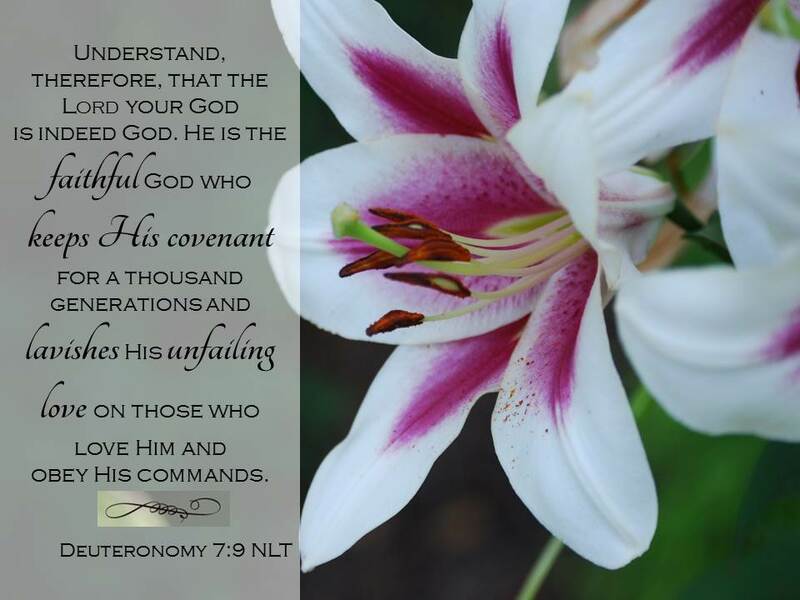 However, resting and meditating on God’s Word can FILL ME ABUNDANTLY with the assurance of His LOVE and FAITHFULNESS. I may not FEEL it, but deep down I KNOW it. Having a prodigal child can bring heavy emotions some times. I REST fully in the promise of God’s Covenantal LOVE and GRACE to get me through these difficult times.